Blueberry Jam E-Liquid by Jam Monster has been one of the most sought-after breakfast flavoured E-Liquid in the entire vaping industry. Nosh on a freshly toasted slice of bread smothered with sweet butter and covered in thick and sweet blueberry jam! Surround your vape taste buds with this monstrously good e-liquid and never worry about that monster underneath your bed again! Jam Monster is one of the largest and most reputable brands in the vaping industry. 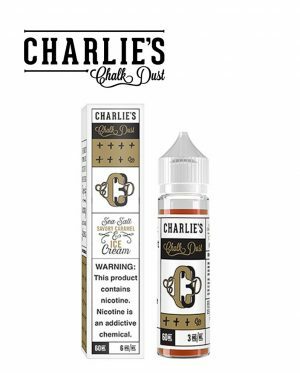 They took the market by storm with Blueberry Jam E-Liquid by offering high-quality premium E-Liquids. Some would say that they arguably started the race to the bottom. Blueberry Jam E-Liquid is one their most popular and exciting flavours keeping Jam Monster one of the dominant players in the vape world. 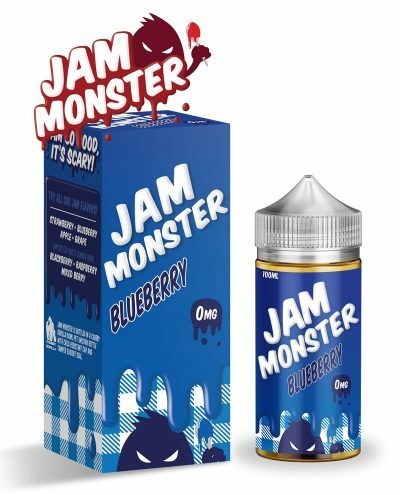 Blueberry Jam E-Liquid by Jam Monster is a 75/25 VG/PG mix. Higher VG Ratio or Vegetable Glycerin produces more clouds or smoke. Higher PG Ratio produces more flavour and more of a “throat hit”. All vapers are different, so choose the right ratio to satisfy your needs and make sure that Blueberry Jam E-Liquid by Jam Monster is right for you. What makes Blueberry Jam E-Liquid by Jam Monster so great? 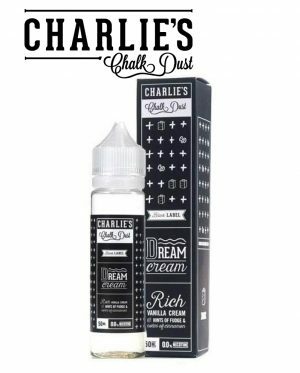 Every ingredient in this E-Liquid is crafted with the utmost care and finest quality. The fresh brioche bread slice is gently toasted over an open flame, ensuring a golden hue across the top, and the crunchy flavour breaks through in a warm and crumbly flavour. And the butter, oh…the butter! The sweet and creamy goodness breaks through in a rich and slathered-on goodness, ensuring a buttery texture in every cloud. And the piece de resistance comes in the form of sweet jam…blueberry jam that is! Heaping handfuls of wild blueberries are harvested from a nearby forest and are boiled to a delicate softness, and mounds of pure cane sugar are stirred into the pot, and voila! A sweet and smooth jam flavour lights upon your vape taste buds with a ferocious roar, ensuring a burst of smooth and wild berry flavour in every bite. Lose yourself in the buttery, fruity, and toasted goodness of this flavour and you’ll soon come to realize that the only monster worth fearing is your taste buds and monstrous love for this e-liquid, thanks to Blueberry Jam E-Liquid by Jam Monster!